Home » Why Use A Professional Commercial Moving Company? 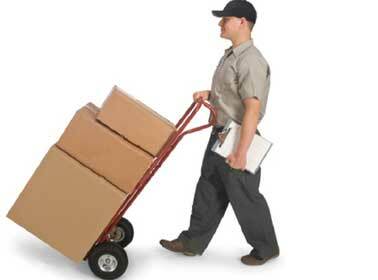 Why Use A Professional Commercial Moving Company? While office furniture systems appear simple in comparison to information technology and telecommunications equipment, the fact of the matter is that the exact opposite is true. Even a small office features a wide range of office furniture types that include tables, desk areas, seating, storage and filing systems, and office cubicles. Even the simplest of layouts involves customization features that many standard commercial moving companies may not be familiar with. Cubiture’s commercial moving team can quickly disassemble your existing cubicle stations and storage areas and transport them to the new site. Once there, they can implement an installation and reconfiguration of your office furniture and cubicle systems in accordance with a complimentary site plan that they have already developed prior to move. Not only do our office furniture commercial movers know how to put your system back together—they know exactly where to reassemble your office cubes, seating areas, private desks, filing systems, workstations, and collaborative environments. Perhaps the most important thing to consider when choosing a commercial company is finding a team of specialists that can orchestrate the move from start to finish. This specialist should be able to disassemble office furniture arrays, transport them to the new site, and reassemble their components in a new layout that compliments the square footage and vertical cube of the space. Who is better qualified to undertake such a task than an office furniture company that builds its entire sales cycle around office furniture and cubicle systems configuration and layouts? Any appropriate customization to your office furniture and work space cubicle systems will be made during the reconfiguration phase of the installation. 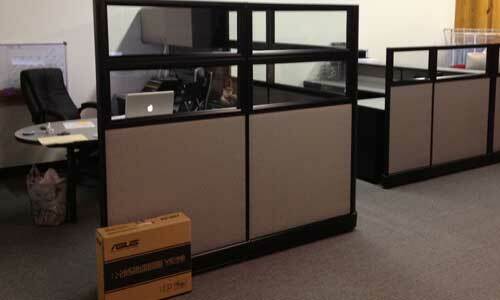 New office furniture purchases will be integrated into the new site plan seamlessly. If necessary, furniture and cubicle components that are no longer useful to you will be purchased back from you and transported away. With minimal downtime—and minimal stress—your new space will be ready. If you are planning a commercial move, call our office furniture specialists now to schedule a complimentary onsite visit. If you are unsure yet if you actually need to move. but are feeling the pressure of tight space constraints, request an onsite visit to determine if an office furniture reconfiguration can free up existing space and avert the much higher costs of commercial moving. Either way, your new office furniture layout will look better than ever, and your office cubicle systems will feature a superior blend of comfort, aesthetics, and functionality. Contact Cubiture now at 713-412-0900 and start moving forward in a new direction today.